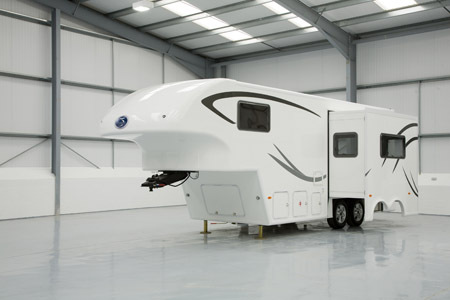 Fifth wheel style caravans are a little different to your average tourer models. They have to be towed using a specially modified tow vehicle and are usually as big as some of the larger-sized motorhomes available. 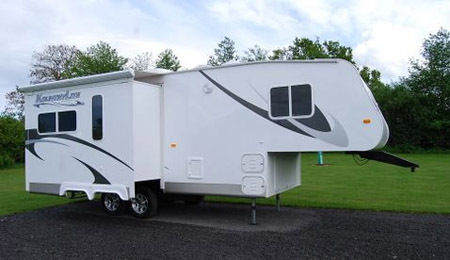 It’s because of these differences – and the fact that fifth wheels are relatively uncommon here in UK – insuring a fifth wheel style caravan isn’t always easy. We are thrilled to announce that fifth wheel insurance is now available with Caravan Guard! We’ve added it to our ever-expanding catalogue of products to give you greater choice when insuring your pride and joy – including UK manufactured and dealer imported American fifth wheel units of any value! Plus, because the policy is backed by 5* Defaqto rated tourer insurance you get the best possible standard of cover. We’ve joined the Fifth Wheel Owners’ Club to help support members in any way we can. 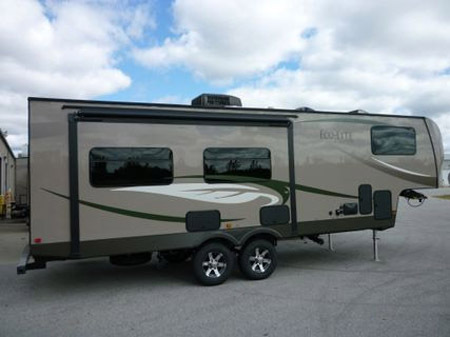 Check out the Owners’ Club website for the latest fifth wheel news and online discussions. Please note our online system cannot currently give you an instant price. Hi – I will shortly be picking up a new 5th Wheel Co Celtic Rambler and new Nissan Navara Outlaw V6, so I need insurance. I was disappointed to see that you only offer 180 days or maybe 240 days abroad which is far to restrictive for me. I want to be able to be in Europe more than this – do you have, or know of policies that will let me be away for longer?